A comedy club night with 4 acts headlined by an award-winning burger van owner plus pork and pickle pies for a fiver. 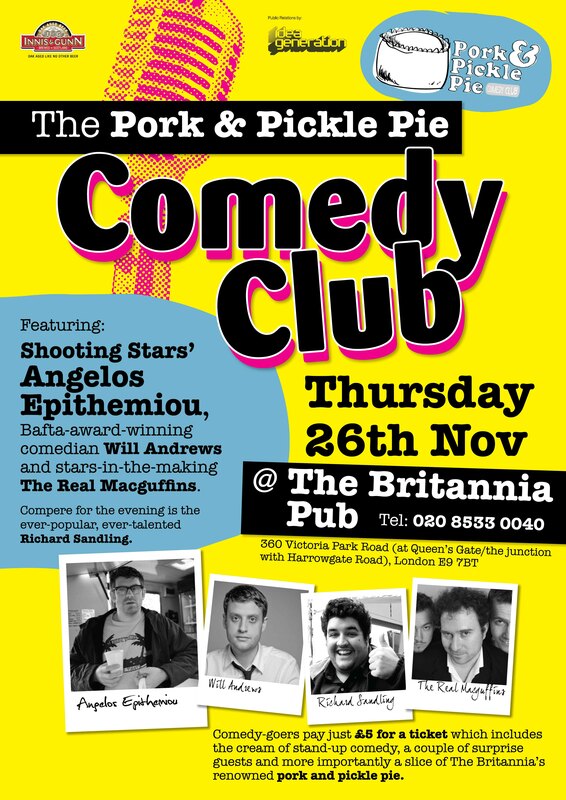 The Britannia Pub on Victoria Park is hosting the Pork & Pickle Pie comedy club with tonight the first night of many to showcase top British talent in night of stand up ‘til you fall over laughing, or full of pork & pickle pies, or both. 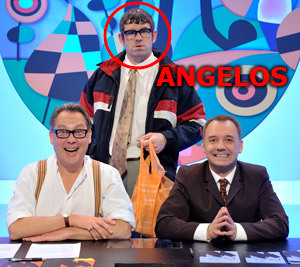 Angelos Epithemiou of Shooting Stars headlines, most well known for his work with Vic & Bob on the BBC comedy quiz show (and from his burger van, obviously). 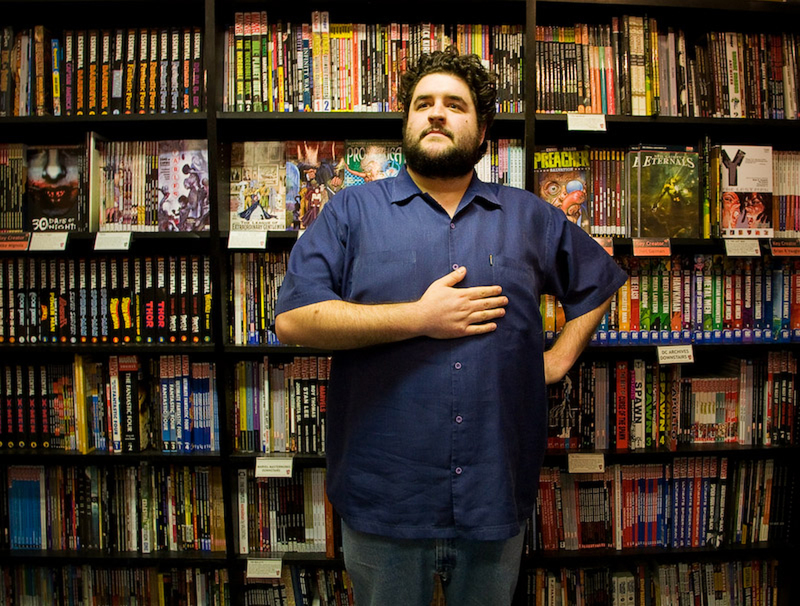 Supporting acts include Will Andrews, comedy sketch group The Real MacGuffins and Richard Sandling. Combined, these comedians can throw around names like BBC, Channel 4, Bafta and Edinburgh Fringe, making this comedy night some serious stuff. If pork and pickle do not your fancy tickle, no worries – vegetarian options are available. This is just the first night of many, so if you’re interested, stay tuned!